If you are looking to read a conventionally written book about domestic violence then this book is NOT for you. 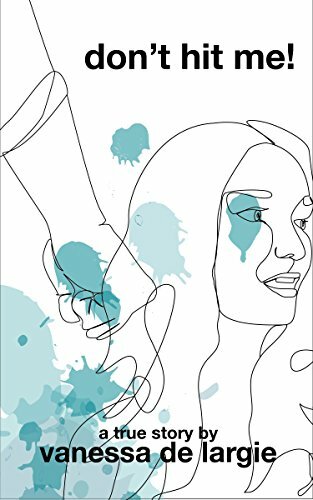 This book is untraditional and unconventional; it’s a true diarized account of my time living with an abusive man from 2001 to 2003. It does not unfold as a normal story would instead it unfolds as a real story did. At the time, the only way I could metabolize my experiences, was to keep a journal. Domestic violence is erratic, fractured and unpredictable – as is my book. These writings are organic with nothing changed and minimal editing. If my journey through domestic violence inspires only one woman to flee her deadly predicament, this collation of writings has been a success. Don’t Hit Me! 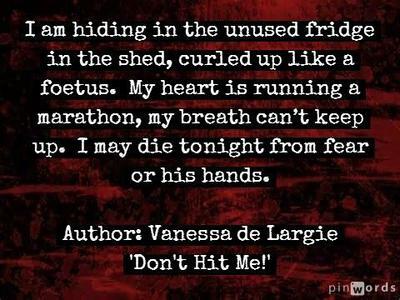 – is Vanessa de Largie’s fragmented and frightening journey through domestic violence. It is told through a collection of short and poetic pieces of prose. The truth and rawness of this work will haunt you. Vanessa de Largie is an award-winning Australian actress and multi-published author. She has a great interest in women’s issues and has written about abortion, depression and Endometriosis previously.